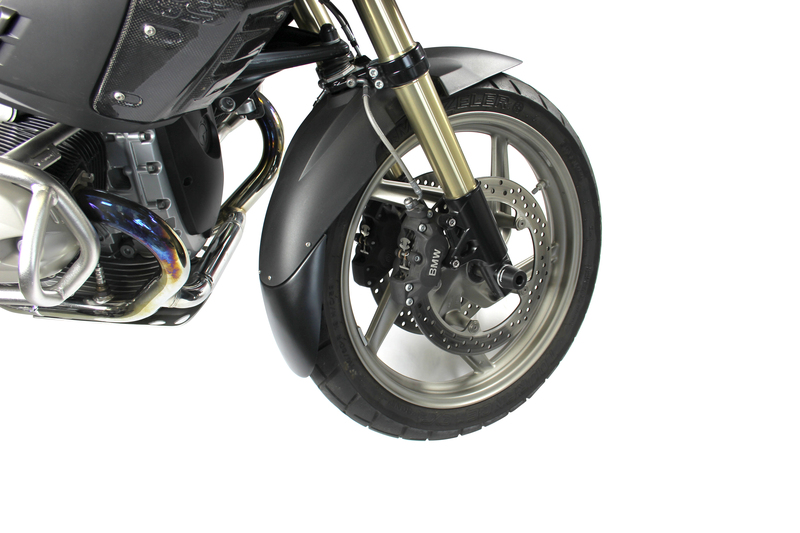 Our Extenda Fender are made of state of the art plastics. They are manufactured with deep drawing or injection moulding technologies and make sure that your engine, manifold and much more will stay clean. You glue the Mudguard Extender to the original front mudguard and secure it with screws. The brand new version includes black rivets for a better and cleaner finish. 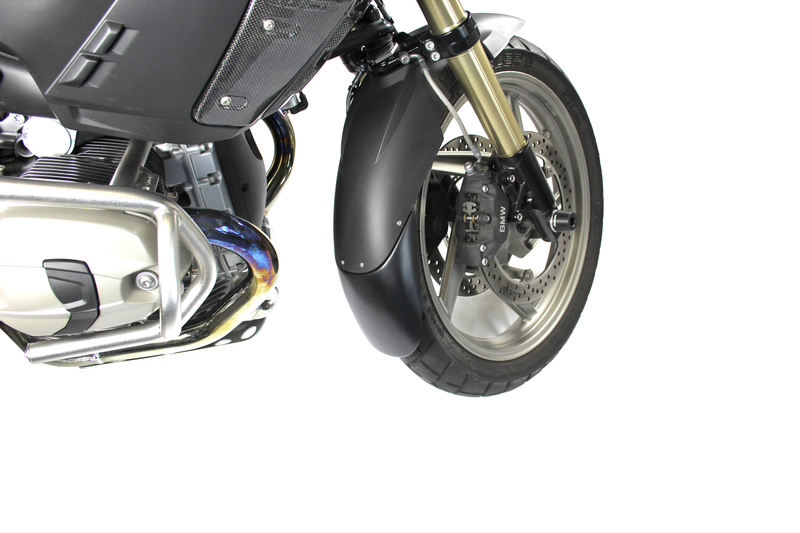 You can see in the installation video below how we install an Extenda Fender on a BMW R1200GS.